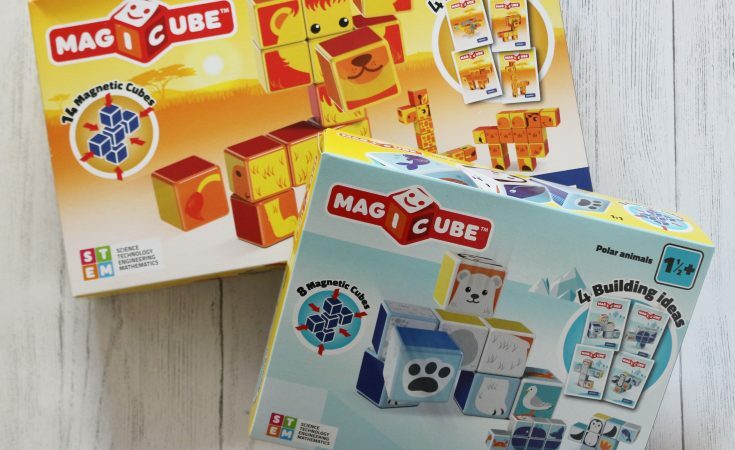 This week we’ve been playing with the Geomag Magicube Polar Animals and Safari Park magnetic blocks. My poor second born doesn’t often get new things to review, being two years old and not quite ready for the more exciting toys which his older sister often gets to play with. 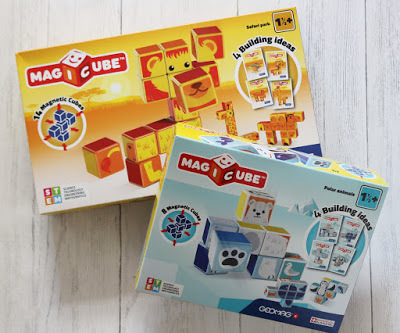 So when we were sent both the Polar Animals and the Safari Park Geomag Magicube magnetic blocks, he looked very excited indeed. 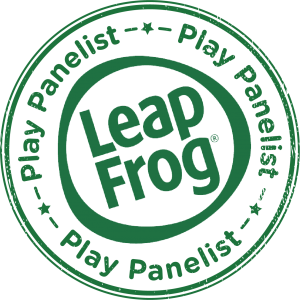 The Polar Animals set has eight magnetic blocks; the Safari Park set comes with 14. 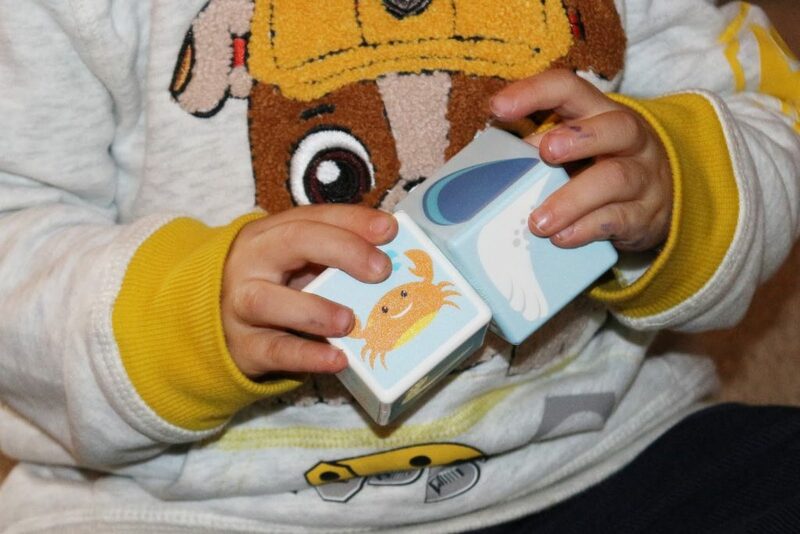 Both kits come with two cards and on each side is a design which you can make with the blocks. From the Polar Animals kit you can make a whale, a penguin, a polar bear and a seal. 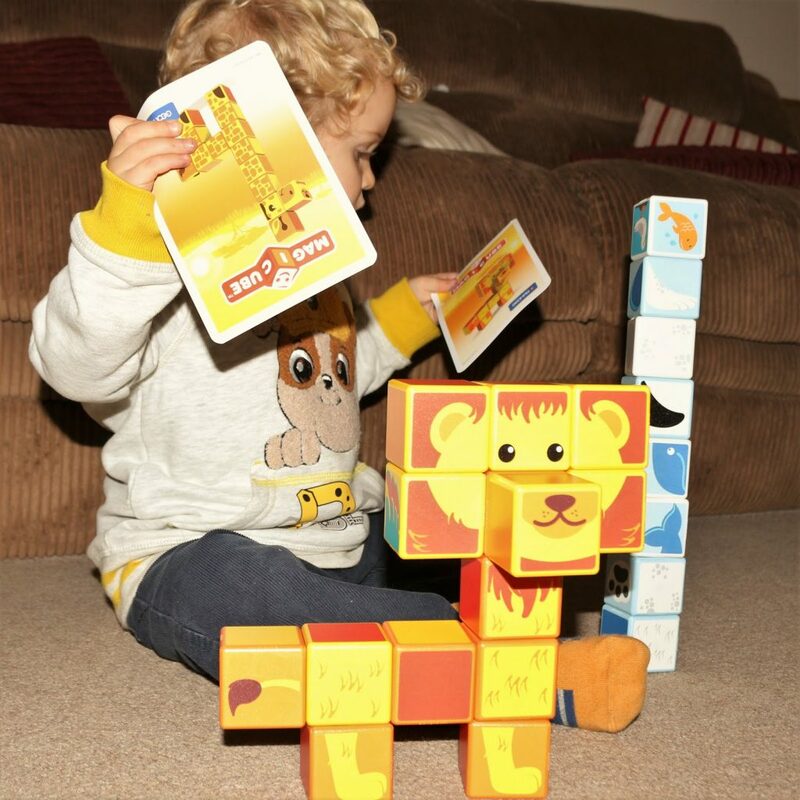 The Safari Park kit comes with cards showing you how to make a lion, a giraffe, a camel and a parrot. Some are in 2D, and others are slightly more difficult 3D creations. The small one really likes building with blocks. The Geomag magnetic blocks are large and easy to handle which makes them perfect for his little hands. 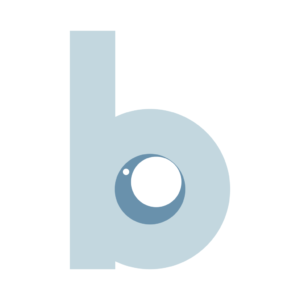 Even better, because the blocks are magnetised they can be fixed together easily in any direction which is brilliant. 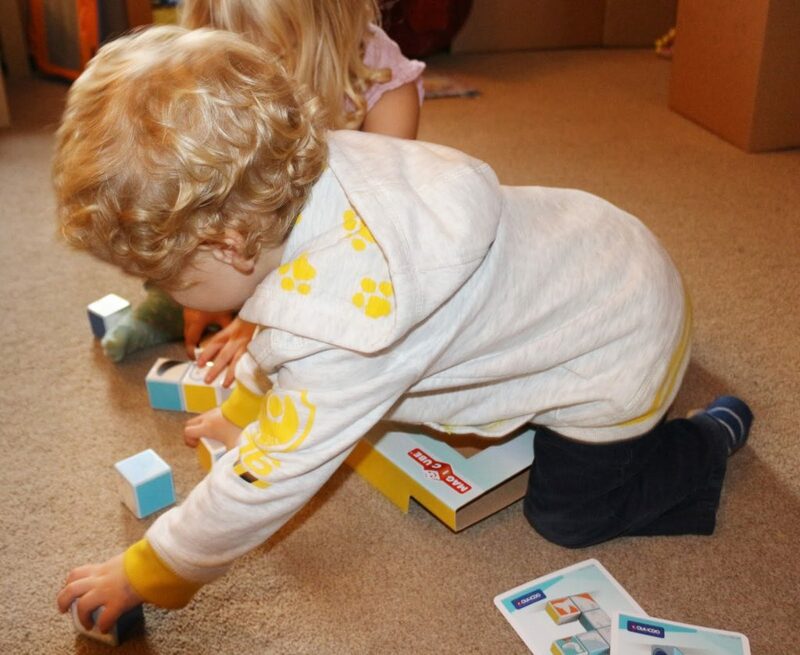 It means he can create tall towers and big cubes; you can of course use the kits together so he has quite a few to play with now. 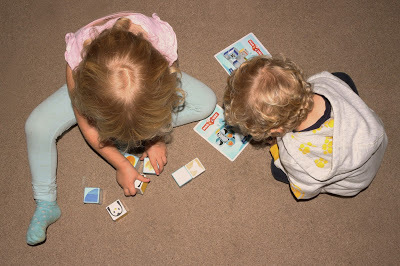 The big one is a bit more able to follow the instructions to create the animals from the box with the magnetic blocks; this gives the kit a bit of longevity as the toy will be able to be used in a different way even a few years from now, if we make sure we keep the cards! They feel like they will last the distance too. 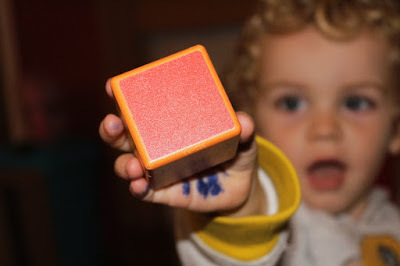 I have already benefited from several hours of peace and quiet thanks to the Geomag magnetic blocks. 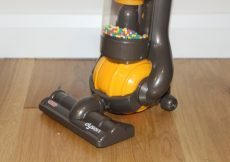 I imagine they will become a staple toy in our house; he has already played with them every day we’ve had them. The kits retail at £35 for the Safari Park building kit and £25 for the Polar Animals kit. 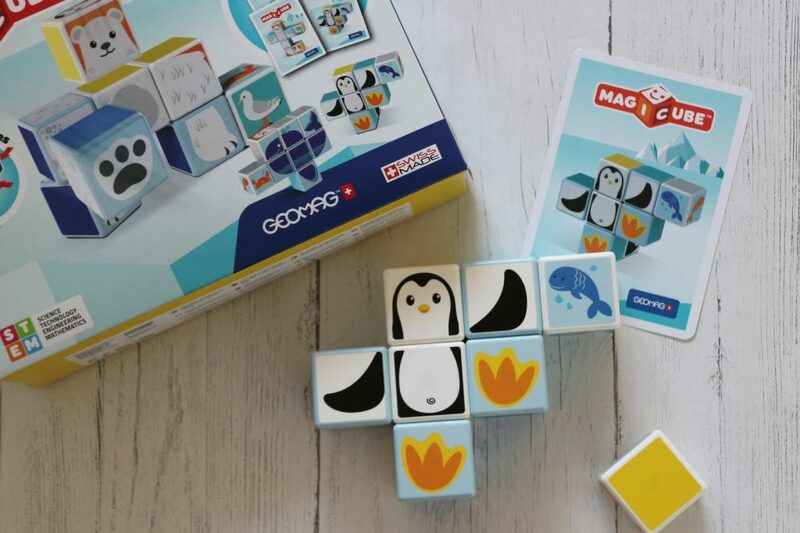 You can see the whole range of Geomag Magicubes magnetic blocks on Amazon here. 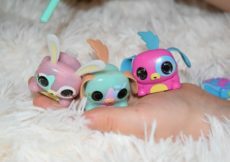 We were sent these kits for the purposes of this review, but all words an opinions are my own. 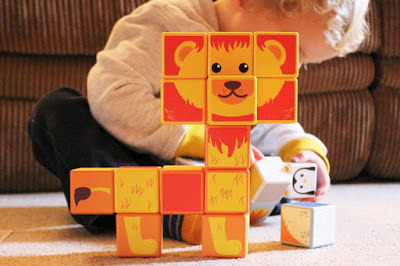 You can WIN a set of the Safari Park Magicubes magnetic blocks worth £35 here!